We help our clients to search and locate heirs and copyright holders of Czech & Slovak writers, musicians, visual artists and other authors, either world-famous or unknown. We provide our clients with contact details either to living authors or families or estates of deceased artists, or their agents. 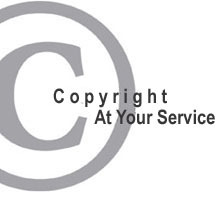 We help our clients to determine whether a work is in copyright or in public domain. We do not represent any artists or authors- we act on our clients' behalf and strictly pursue their interests. Let us negotiate a better deal for you. We represent our overseas clients in dealing with rights holders or their agents in the Czech Republic and Slovakia. We help publishers, manufacturers, agencies, museums and galleries and other customers from all over the World to obtain permissions and licences for art works and other copyrighted materials by Czech & Slovak writers, scientists, visual artists, photographers, designers and other authors. Following our clients' instructions and pursuing their interests we negotiate agreements of licence or permission terms and conditions.